Sky+ app enables its users to use their Android tablet or mobile to set their Sky+ box to record a particular show or series that would be telecast over the next seven days, browse through their favorite channels, shows and seek out recommendations. 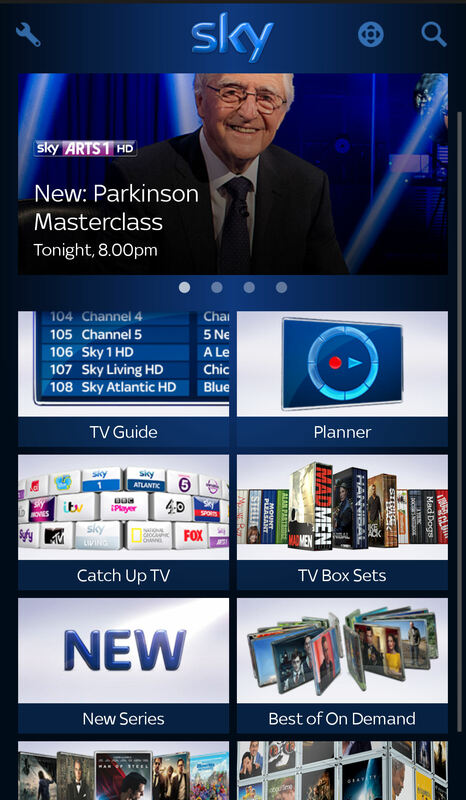 You can also use your android device as a remote control and browse your Planner for your Sky+ HD box. Your android device should have OS 2.2 or higher version and if you’re in the UK or Republic of Ireland, you can download the app through Google Play. After downloading it, the app is ready to be used to access the TV Guide and make Remote Record requests if you can avail a 3G or 4G or wireless connection. Just open the Sky+ app. Go to the Sky menu. The Sky+ app will automatically seek for your Sky+ HD box. After locating it, the contents of the planner would be displayed. But the Sky+ app will readily access the Planner only if your Android device is connected with the same Wi-Fi network as the Sky+ HD box. After signing in to your Sky+ app, you’ll view a remote control icon at the right top of your navigation bar. You can either touch this icon or you can tap a channel icon in the TV Guide and use your Android device as a remote control. Select Show Gesture Guide for more instructions. Tap on the Sky logo. Just enter your Sky ID as well as password. Touch and select a genre. Touch to add a channel to your favorites. Touch it again to remove the channel. Touch Edit favorite channels to view a list of all the chosen favorites. Just drag the channels up and down to re-order all your favorites. To cancel a Remote Record or Series Link request can be done, when your Android device is connected to your Sky+ HD box, either through Sky+ HD box or through your Sky+ app. Now if your Android device is not connected to your Sky+ HD box you can’t do this without your Sky remote control. Tap the desired Sky+ HD box from the listed boxes. How to prevent Sky+ app from accessing your Sky+ HD box? Deselect Connect to Sky+ HD boxes. For more information on Sky+ app, you may also call at Sky Customer Service Number given here.